On a beautiful spring Saturday morning, my family took a ride to Roseland, Virginia to visit Seamans’ Orchard and pick cherries. 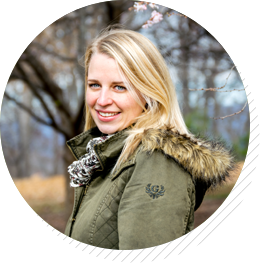 It’s a gorgeous orchard, located within short driving distance to Lynchburg and Charlottesville. We spent the morning in the sunshine and fresh air, and picked ourselves a ton of sweet, delicious cherries. They’re different from store bought cherries, and the taste alone would be worth the effort of picking them ourselves, but what I really cherished most was some quiet time as a family, picking our cherries and enjoying the view. Not a bad view, huh? We ate a lot of cherries just plain, but I wanted to have some fun cooking with them too! Here’s what I ended up with. 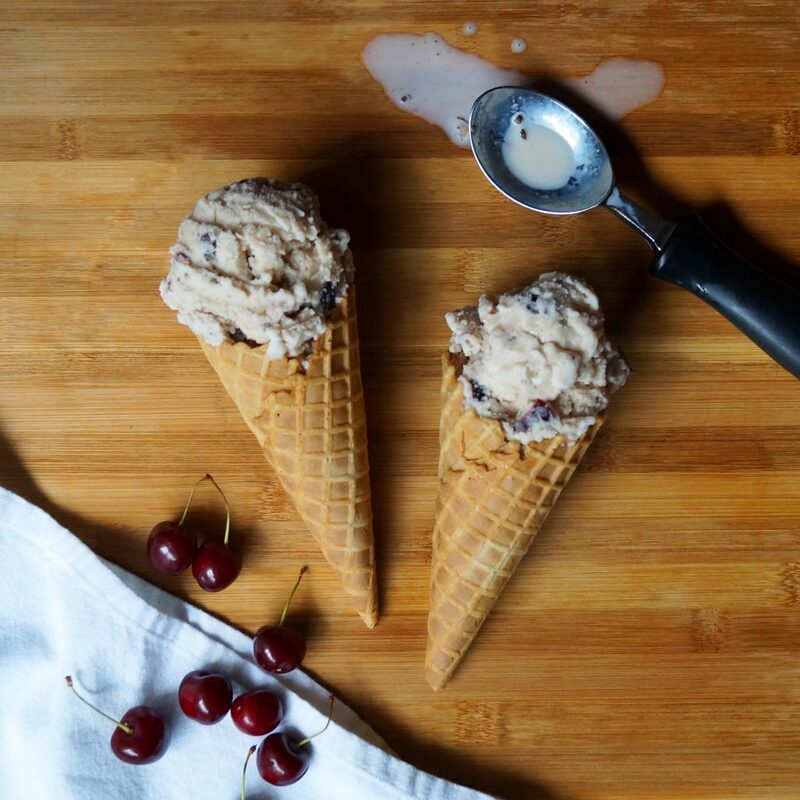 A Cherry Berry Crumble that’s actually good for you, and my own version of Cherry Garcia ice cream. I hope you enjoy them if you get to try my recipes! Stir together milk and half and half in a medium sauce pan over low heat. Gradually warm the mixture until it’s thick enough to coat the back of a wooden spoon (I was always confused by this – I heat it until it thickens slightly and is beginning to give off steam, usually around 8 minutes). In a separate bowl, whisk the egg yolks and sugar vigorously for about 3 minutes, then stir in the vanilla. Pour about 1/2 cup of the warm milk into the egg mixture, continuing to mix. Once that is incorporated, slowly pour the rest of the milk mixture into the egg mixture, whisking continually. Pit and half the cherries, then mash them gently with a fork and pour the excess juice into the egg/milk mixture. Cover and refrigerate overnight. 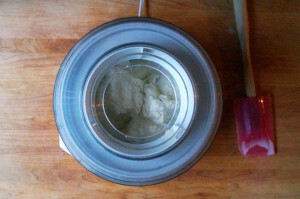 Pour the mixture into your ice cream machine and follow the manufacturer’s instructions. 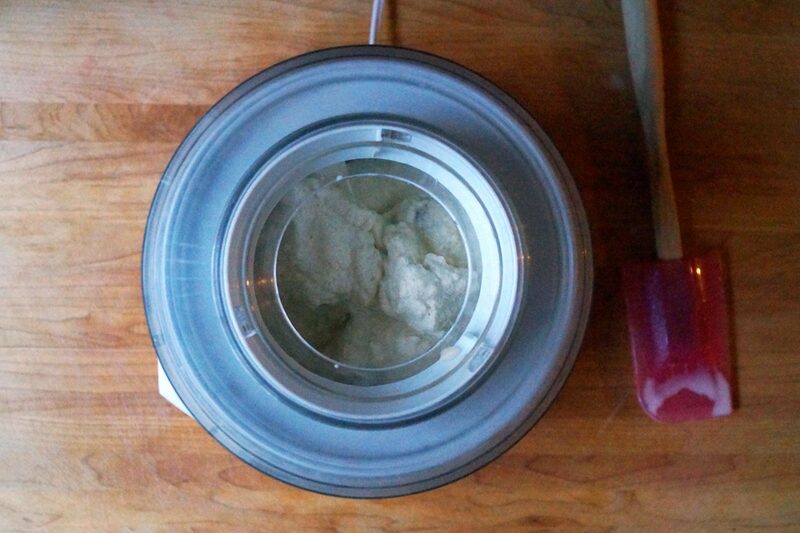 My Cuisinart machine churns for about 20 minutes until the ice cream is perfect. 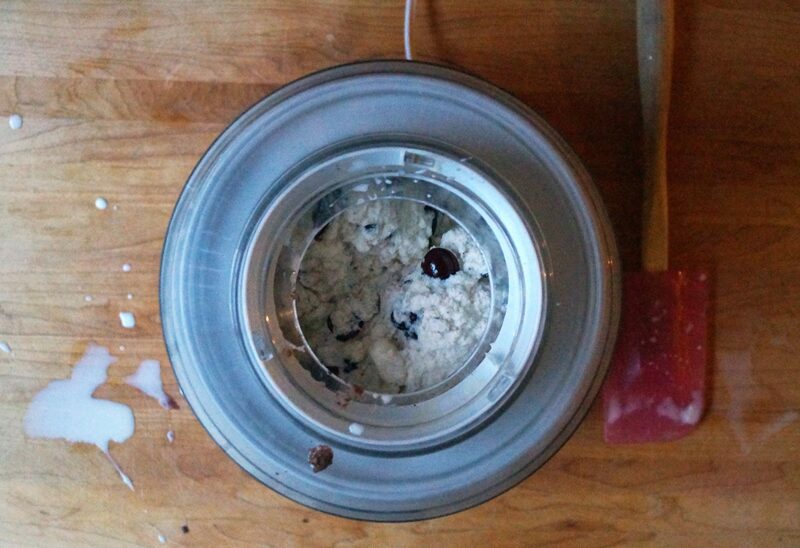 Right before the ice cream is finished, add the cherries and chocolate and continue to churn for another 5 minutes. Transfer to a separate bowl, cover tightly, and keep in the freezer until you’re ready to enjoy! Preheat oven to 375. In a medium bowl, mix together strawberries, cherries, blueberries, ginger, lemon juice, water, and flour. Transfer into any oven safe dish. In a separate bowl, stir together the oats, coconut, brown sugar, and butter. Spread evenly over the fruit mixture and bake for 25-30 minutes or until the fruit is beginning to bubble and the oats are toasted and golden in color. Allow to cool slightly and serve warm!